New contest! 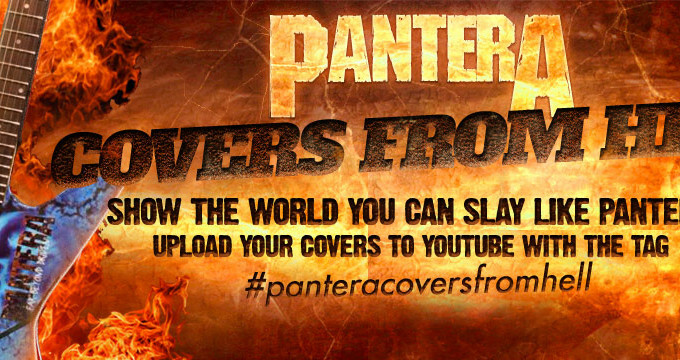 Show the world you can slay like Pantera. 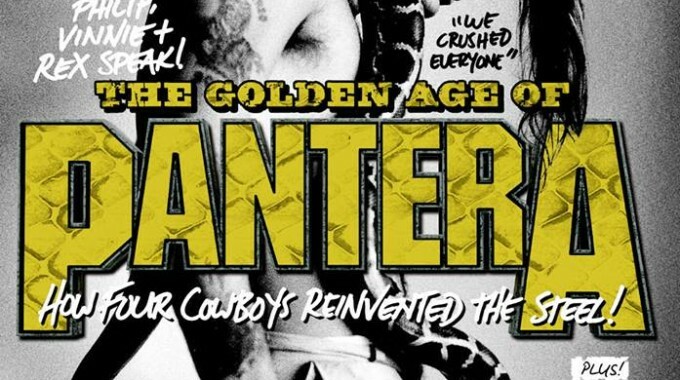 Pantera is on the cover of the new Revolver Magazine! Have you picked up the Apr/May Issue of REVOLVER Magazine? Check out the cover & make sure you pick up a copy! Details from Vinnie’s 50th Birthday bash emerge! UPDATED! 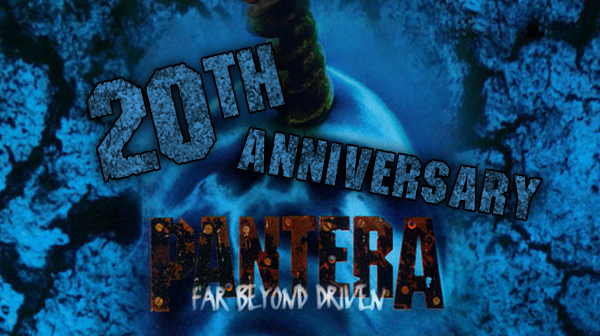 More details on Far Beyond Driven’s 20th Anniversary! 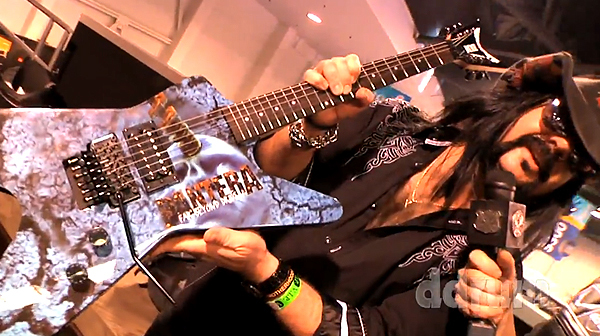 Vinnie shows us the new Far Beyond Driven Dean and more (video). Director of artist relations for Dean Guitars and ddrum Josh Maloney has a friendly chat with Vinnie Paul at NAMM 2014 in Anaheim, California. Vinnie talks about his return to NAMM, and shows us the new Far Beyond Driven Dean guitar and more guitars made out of the trees in Darrell’s yard! Televison pays tribute to Pantera with two recent references; Workaholics and True Detective! In the recent Workaholics episode, Blake shows some frustration with some kids who aren’t quite up to speed yet: In True detective, some dude gets tossed in the clink wearing his Far Beyond Driven t-shirt, pretty much guaranteeing no other prisoners will mess with him while he’s there. Rockline Prod: Vinnie talks about new Hellyeah album/tour. Bonus: The first Hellyeah “Blood For Blood” webisode. 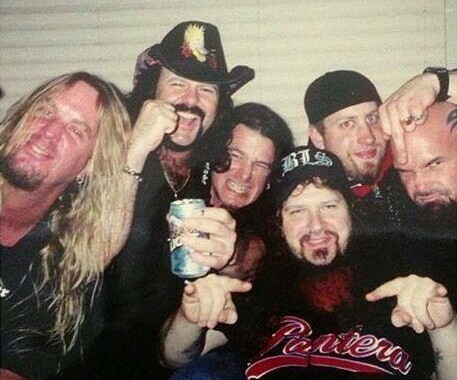 REVOLVER Magazine Golden Gods Awards are renaming the Best Guitarist Award for Dimebag Darrell. 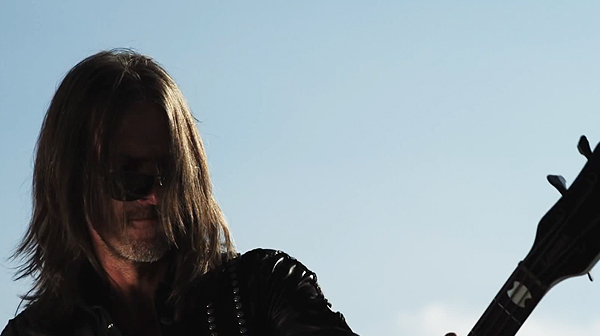 Rex’s band Kill Devil Hill releases video for “Leave It All Behind”. Fuse News tours the Housecore home base. 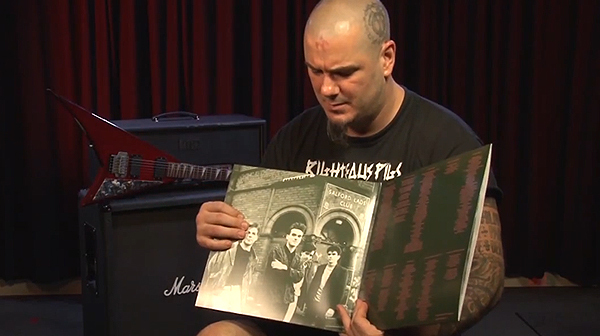 Philip H Anselmo guides us through the premises showing us among other things, Pantera artifacts and memorabilia. 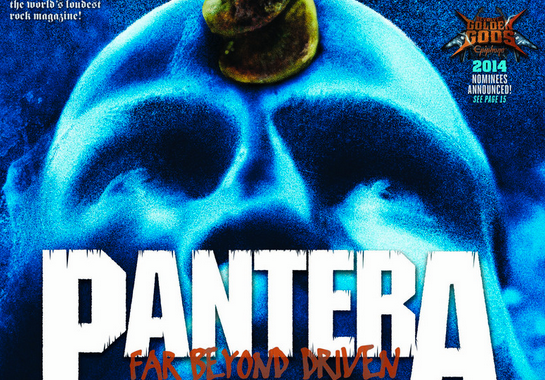 Twenty years on from ‘Far Beyond Driven’, Metal Hammer celebrates the metal icons that are PANTERA! Radio.com: Philip conducts “The Smiths and Morrisey 101; Introduction for heavy metalers”. Our friend Jeff Hanneman would have been 50 years old today! Happy Birthday Jeff, R.I.P.